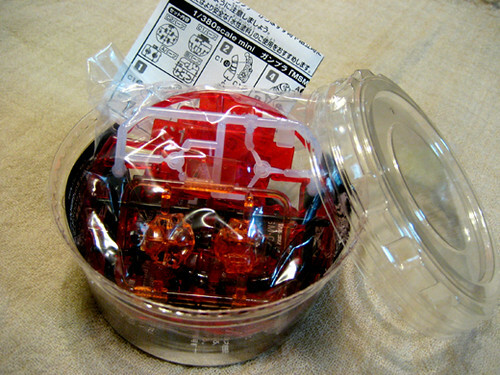 These are Char Aznable’s Custom CHILI TOMATO Cup Noodles on mini gunpla(GUNDAM plastic model) pac from Nissin. 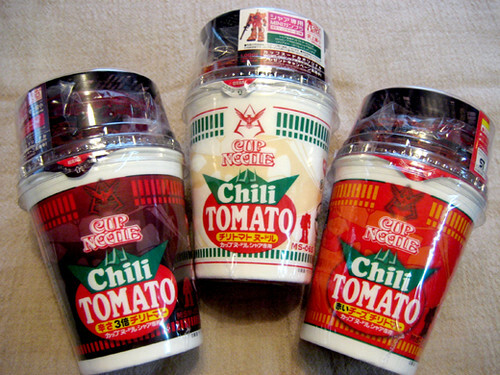 For the 30th anniversary of Gunpla,they produced three different flavours of Chilli Tomato Noodles for Char. 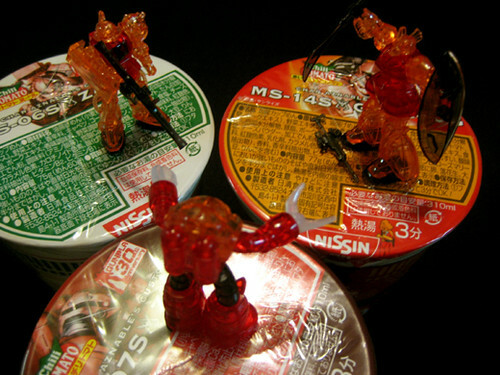 3 Times Spicier Chili Tomato Noodle contain with 1/380 scale Char’s Z’Gok. 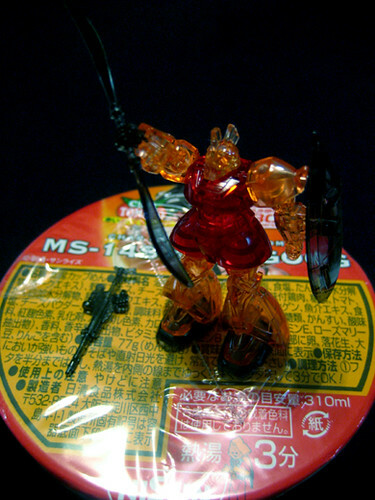 Chili Tomato Noodle contain with 1/380 scale Char’s Zaku II. Red Cheese Chili Tomato Noodle contain with 1/380 scale Char’s Gelgoog. You can build it after(or before) you finish your noodles. Is it common for people to eat Cup of Noodles in Japan? These flavours seems really good! Cup noodles is delicious!